When you think of eating in Santa Fe, your mind probably automatically wanders to mouthwatering enchiladas, chile sauces, and sopapillas. While our New Mexican cuisine is always delicious, did you know that there are other ethnicities represented as well? From wood-fired pizza to farm-to-table fare, we recommend trying one of these best Italian restaurants in Santa Fe during your stay at Four Kachinas. Get a copy of our free Travel Guide for the inside scoop on planning where to eat during the rest of your stay! For a home-cooked meal at one of the best Italian restaurants in Santa Fe, we recommend Trattoria A Mano. Each dish is handcrafted with expert care using only the best ingredients. As the seasons change, so does their menu. The dishes reflect the weather so you can have homemade comfort food at all times of the year. We recommend trying one of their pasta dishes since the pasta is handmade! Andiamo!’s bright and fun atmosphere welcomes both locals and visitors alike into its cozy dining room. Located in a historic home, you can always find an ever-changing list of pizza and Italian entrees on the menu. This neighborhood restaurant combines timeless classics with seasonal innovation. Start off with a fresh soup of the day or olive plate. Then, enjoy penne with spicy house-made lamb sausage or spaghetti Aglio e Olio with shrimp. Cafe Grazie offers the perfect blend of Italian and Mediterranean made with organic, seasonal ingredients. There are plenty of vegetarian and gluten-free options so everyone can eat! On the menu, you will find everything from paninis to risotto. The wide range of offerings ensures that there is something for everyone. 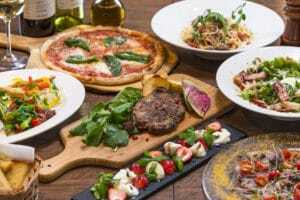 You can’t ever go wrong by dining at Il Piatto Italian Farmhouse Kitchen. They try their best to use fresh, local ingredients whenever possible. The delicious Sangre de Cristo Mills whole wheat flour that is grown in New Mexico is the main ingredient in their pastas and breads, and a local fishmonger provides wild sustainable or biodynamically farmed seafood. Everything is fresh and delicious! We get it— sometimes you crave a good slice of pizza when you’re on vacation. If this is the case, head on over to IL Vicino Wood Oven Pizza. 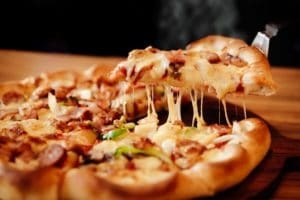 This laid-back eatery features delicious pizzas and pastas along with a great selection of beer and wine. Build your own pie or opt for one of their pre-planned selections. 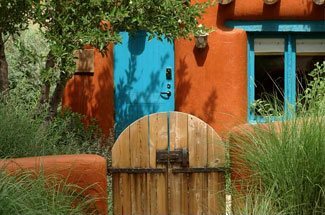 Whether you’re here to discover the best Italian restaurant in Santa Fe or to explore other cuisines, you’ll need a place to stay. 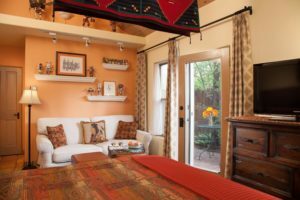 Located in the heart of the city, Four Kachinas Inn has everything you need for the getaway of a lifetime. 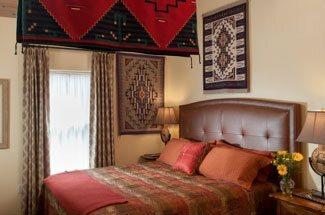 Each of our cozy accommodations features Southwestern decor so you can be immersed in our culture. Plus, you get to enjoy our outstanding amenities like our complimentary breakfast each morning! We look forward to hosting you!